Use activities, reference materials, or interactive games to teach and learn about food and food issues. Teachers, scroll down for a quick list of key resources in our Teachers’ Toolkit, including a link to today’s MapMaker Interactive map. Customize this map and experiment with layers to identify any patterns shared by countries that require labeling of GMO foods. According to Nat Geo’s “The Plate” blog, the United States is considering having a voluntary labeling system for genetically modified foods. What are GMOs? Genetically modified organisms are living things (organisms) whose genes (DNA) have been altered for a specific purpose. Genetically modified organisms have had specific changes introduced into their DNA. 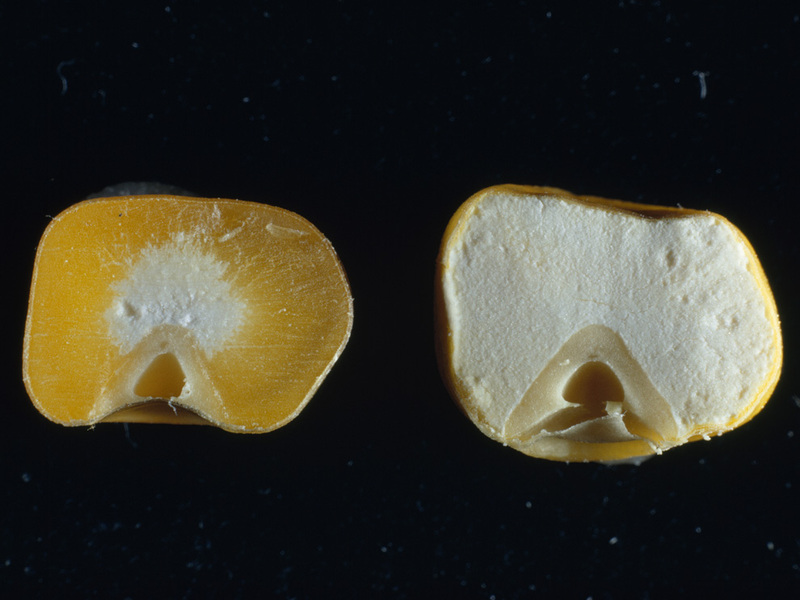 The genetically modified corn kernel on the right is enriched with more protein than the yellow, unmodified kernel on the left. Livestock can also be genetically modified, producing meat or other animal products (such as wool) with desirable characteristics. 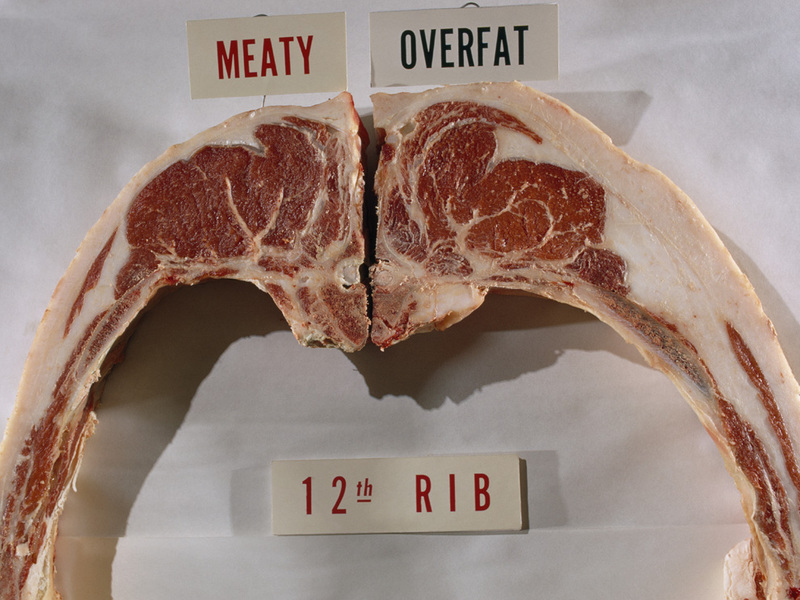 The cut of meat on the left is noticeably less fatty, for instance, than the meat on the right. The Plate blog says about 80% of our food supply is genetically engineered. Why might agribusinesses and consumers prefer GMO foods? Genetic engineering can prevent a plant from contracting a fatal disease. A recent debate in Hawaii, for instance, outlined how only genetically modified papayas survived a deadly virus. This saved the papaya crop, making the fruit available to consumers and protecting the profits of farmers and other agricultural workers. “Businesses sell farmers genetically modified seeds that resist certain pesticides and herbicides produced by the company. With these seeds, farmers can use toxic chemicals without harming the crop.” This is the famous—and famously debated—”Roundup Ready” system. Some consumers prefer GM fruits and vegetables because they do not rot or bruise as easily as non-modified foods. Why are some consumers objecting to GMO foods? The suggested labeling system would be voluntary. Why are some food industry groups objecting? Next Next post: Quiz Connection!